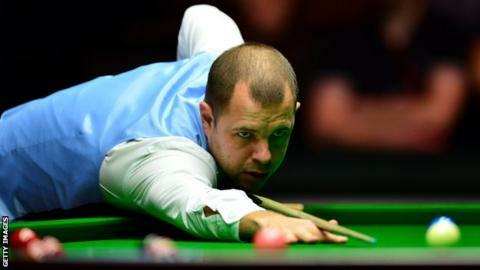 World number eight Barry Hawkins has said he is able to focus on playing snooker once again after dealing with personal issues that have left him struggling for form on the table. The Kent potter made the second round of the UK Championship with a routine 6-1 win over Australia's Kurt Dunham. "My season has been pretty poor," the 38-year-old told BBC Sport. "I have had a lot of stuff going on off the table that not a lot of people know about." Hawkins has only once gone beyond the second round of a ranking event this season, reaching the third round of the Shanghai Masters in November. He said the problems had affected his form for four of five months. "My head wasn't on snooker at all really," Hawkins added. "But we are getting through that as a family now and are coming to terms with things, so I can focus on my snooker now. "I haven't won many matches this season so am looking for a good run to get some confidence back." The three-time ranking event winner's best performance at the York Barbican saw him reach the quarter-finals in 2013. Hawkins, who faces England's world number 79 Hammad Miah in the second round on Sunday night, said: "Everyone gets up for it here. "It's a Triple Crown event and a special event and everyone puts a lot of emphasis on it."